Excellent, this agent is a true professional. I have sold many properties and never had the service that this agent gave. A vendor was selling a 4 bedroom House and found Cheryl via OpenAgent to sell her property. We can highly recommend this agent and Paradise Property as an agent that works for you and does so in an ethical and friendly manner. I bought our last house through her and have now sold a house. Both were well-managed and communication was fantastic. Advice was always happily given on house presentation, the best way to sell in our local area and ways to deal with unexpected situations during the buying and sell process. This is a review a vendor left on Cheryl through the OpenAgent site. This agent is an excellent agent, very professional yet friendly and easy to converse with. She is honest and tells it like it is, not like other agents I have dealt with. My property was sold on the first open house for the price I asked. I highly recommend this agent to any sellers or buyers. This agent is a fantastic agent and really knows what she is doing. We first purchased our house through this agent and knew as soon as we decided to sell we were going to have her as our agent. This agent’s attention to detail, advise and ongoing support is fantastic. Throughout the sale process, we where kept up to date and always had a open stream of communication. I will be recommending anyone who is looking to see to contact this agent. 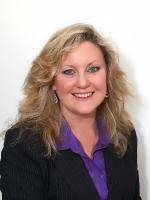 Cheryl Paradise has sold 15 properties in the last year. They’ve recently sold properties in Parkinson, Calamvale, Algester, Drewvale, Sunnybank Hills. A recent sale was a 4 bedroom house at 54 Kakadu Street, Parkinson. Their highest sale in the last 12 months was a 4 bedroom house in Parkinson for $1,269,999. Cheryl Paradisewill get back to you shortly. What can Cheryl Paradise help you with? Looking for more agents in parkinson?